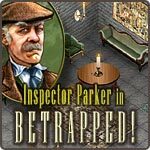 Inspector Parker Serial Game in: BeTrapped ! 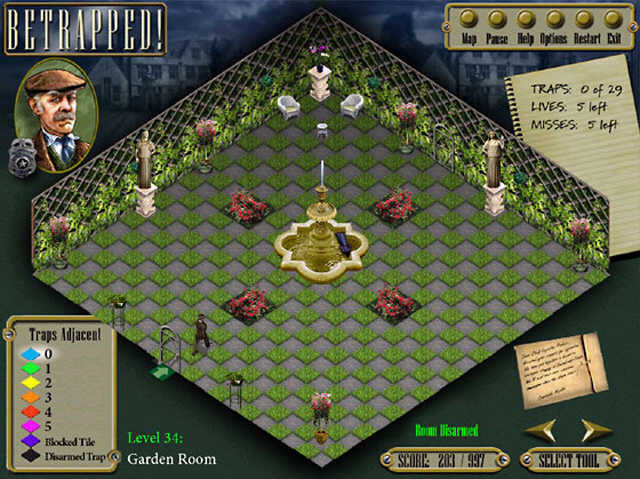 BeTrapped - A murder has been committed in an old English castle. 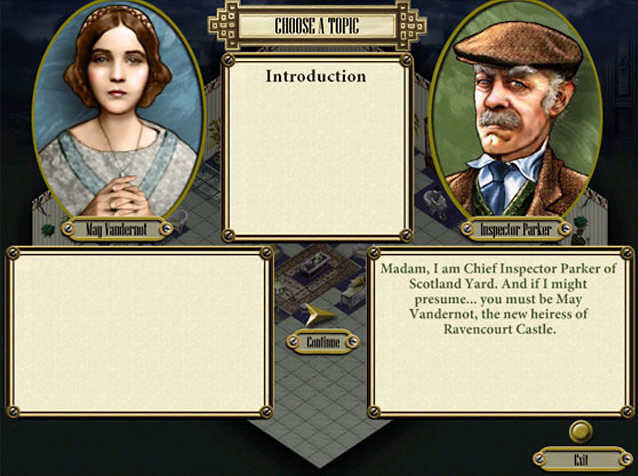 Inspector Parker Serial Game in: BeTrapped - A murder has been committed in an old English castle. As Inspector Parker, it's your job to track down the culprit. Interrogate 12 shady suspects and examine each room for clues, carefully avoiding deadly booby-traps at every turn. A minesweeper-like puzzle game, BeTrapped! features both Adventure and Puzzle modes, with over 1400 mind bending puzzle levels, 37 spine-chilling adventure rooms, and a meta map to track your progress through the castle. Download now to solve the crime in this engaging whodunit! 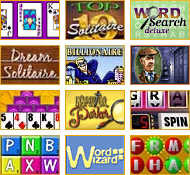 Mahjong Mania Deluxe - Mahjong at its finest! Play one of the 100+ boards, download new boards online or make your own. Typer Shark Deluxe - TyperShark Game Move over, Mavis Beacon, it's the typing game tutor with teeth! TWISTY TRACKS - Twisty Tracks is a charmingly whimsical game! Treasure Fall - A classic item matching puzzle game that anyone can play. The Walls of Jericho - The Walls of Jericho is a challenging puzzle game built on move-and-match play, Walls of Jericho Game is just what you need. Secret Chamber - Unlock jewels of the King's Secret Chamber and discover the precious treasures, Try this Secret Chamber Game Now !